Values are essential for a meaningful existence… At Dr. K. N. Modi Foundation, we believe in the power of values, character and integrity. It was the vision of Raizada (late) Dr. Kedar Nath Modi that transformed into the noble inception and unsurpassed success of Dr. K. N. Modi Foundation, a reputed and respected educational conglomerate that encompasses various individual educational entities. Dr. K. N. Modi Foundation has made immense contribution towards the society and the nation by establishing contemporary professional and technical education facilities at every level. Dr. K. N. Modi Foundation has been built on the pillars of Quality Education, Social Service, Positive Attitude, Commitment, Dedication and Promoting Indian Values. 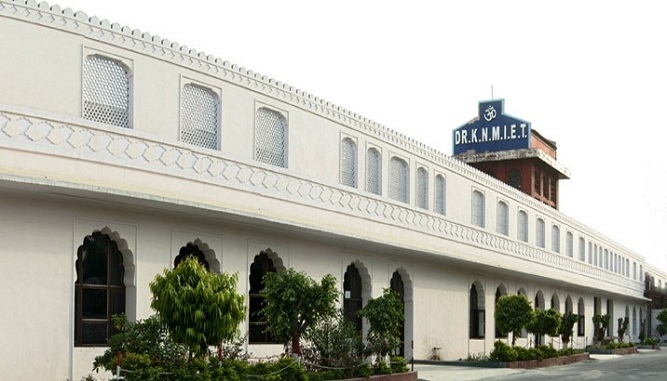 Dr. K. N. Modi Foundation has not only set up professional and technical institutes but also established schools and even adopted an uncommon yet progressive path by setting up a Sanskrit Vidyapeeth awarding degrees of Acharya and Shastri, where teaching is based on Gurukul Methodology. With a heritage of more than seventy years, Dr. K. N. Modi Foundation is relentlessly surging ahead on the path of progress by imparting excellence through education at different levels. The institutions under Dr. K. N. Modi Foundation have been well-appointed with world class infrastructure and facilities to ensure quality learning. Dr. K. N. Modi Foundation has appointed eminent faculty members throughout all institutions that not only excel in academic prowess but also believe in imparting holistic education and character building based on values and principles.